There's no doubt that China is currently going through an industrial revolution of sorts. Pretty much every city in the country is undergoing a construction boom. Taking advantage of this "boom", two teenagers in east China's Jiangsu province stole over 300 meters of construction grade electrical cable to fund their gaming habit. 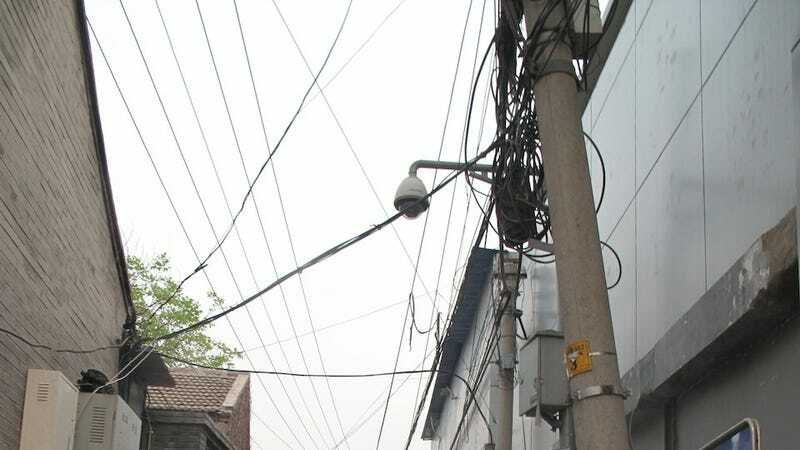 JsChina.com first reported that on the morning of April 27, electrical wiring and cables were stolen from a special economic zone construction site in Jiangsu province's Suqian city. The wires weren't just laying out and about for anyone to take. According to police, the wires were situated on poles about two to three-stories tall. The theft brought the construction project to a halt. After a series of investigations, police discovered that the theft was perpetrated by two young people with an affinity for online gaming. The two suspects, 16 year-old Hu and 17 year-old Li, were detained by police soon after. It's unclear how police came to the conclusion that it was Hu and Li, but the duo confessed to the crime. According to JsChina.com, Hu says he wanted some extra money to spend on online games and general websurfing. Hu met Li at an internet cafe and the two concocted a plan to steal electrical cables, cables used for telecommunications, electricity and various other infrastructure needs. The duo determined that the longer the wire the more money they would receive. Thus they decided to attack Suqian's new special economic zone. Once their target was determined, the duo set out to execute their plan. Police said what the duo did was particularly dangerous. Supposedly Hu would climb one two-story pole while Li climbed another. Once atop the poles, one of the two would cut the wire at one end and swing it over to the other. Then, after receiving the wire, one half of the duo would wrap the wire across their body and slowly climb down and move onto the next pole. The reason they didn't just cut the wires between, say, two poles, is because the wires falling down would cause a lot of noise and because the longer the wire the more money it is worth. Police said the duo risked more than just falling to their deaths; they also risked death by electrocution if the wires were "live". Unfortunately for the construction company, when police found Hu and Li, they had already sold off the wires and spent the profits on online games. While Hu and Li were correct on their assumption that electrical cables were worth money, according to the police, Hu and Li didn't exactly know how much it was worth - they completely undersold their loot.